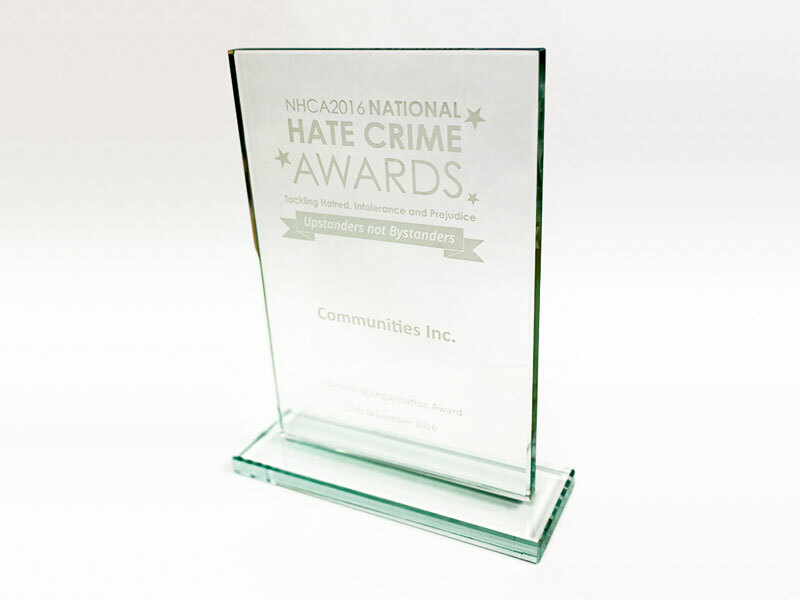 We are very pleased to announce that we have been presented with the Upstanding Organisation Award at the inaugural National Hate Crime Awards on 17 November, 2016. The awards, run by a partnership including Tell MAMA, Stonewall and the ‘No to Hate’ campaign, were set up to champion those who seek to tackle hatred, intolerance and prejudice across the country. The awards are a chance to celebrate the upstanders in society, in the hope that their work will inspire others not to be bystanders. The Upstanding Organisation Award is awarded to an organisation that has made a significant impact on countering intolerance, hate and bigotry in 2016. We were presented with the award following our work within the Nottingham & Bassetlaw communities, promoting community cohesion, tolerance and acceptance through our Building Stronger Communities project. Shamsher Chohan, who received the award, said “it is a real surprise to win this award but I am delighted. There is so much work to be done to raise awareness and support victims of hate crime and we are committed to doing our part”. Michael Henry mentioned “We are really pleased to win this award. Often, this type of work takes place in the background and goes without acknowledgement. For us, this is just the beginning. It’s been a busy first year for the project, and our team have worked hard in all sections of the community, organising events and engaging people in dialogue”. We would like to say thank you for noticing our effort in tackling hate crime and we are hoping to have an even more productive year of work in 2017.